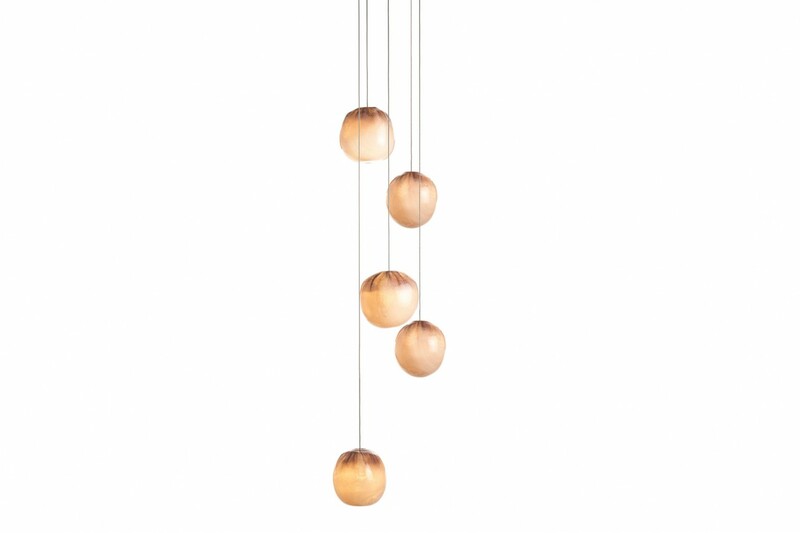 84.5 is a low-voltage arrangement of 5 blown glass spheres, each housing either a 10-watt xenon or 1.5-watt LED lamp. The round, white canopy is 6" / 152 mm in diameter and 1.3" / 32 mm deep. 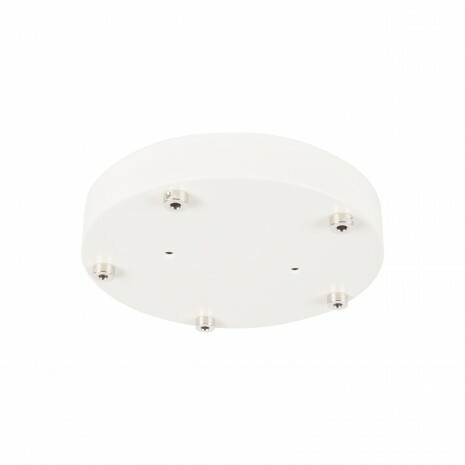 The pendants come standard with 10' / 3 m of coaxial cable. Additional cable lengths are available in increments of 10' / 3 m, up to a maximum of 120' / 36 m in special applications.